​Join us for our annual free Easter Egg Hunt for kids from birth to 11 years old! Also enjoy a beverage & cookies, games, crafts, face-painting and hear the real story of Easter! 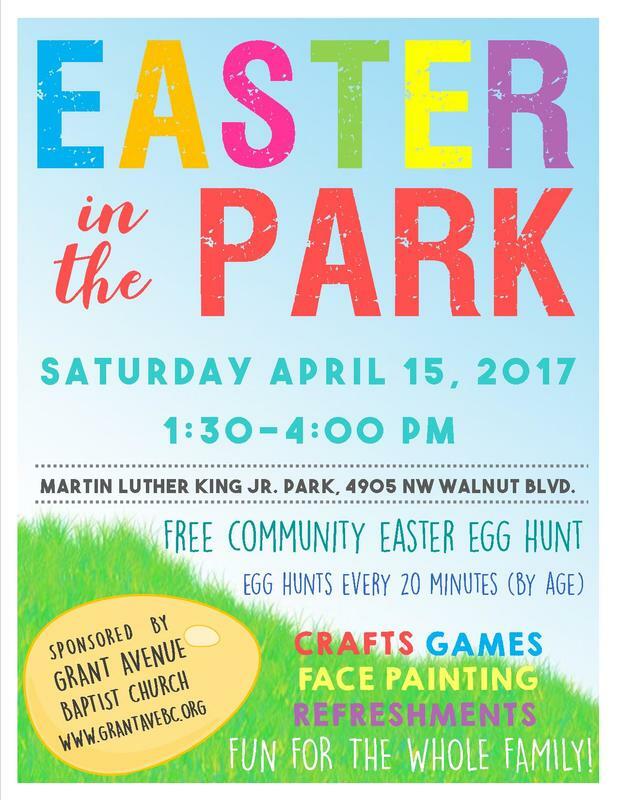 Come early, find a parking spot, register for our Easter Basket giveaway and be ready to have a ton of fun with your kid's egg hunt! The first egg hunt (for the 2 years old and under crowd) will begin around 1:45 pm. A new hunt for a new age group will begin every 20-25 minutes. The final hunt of the day will be a make-up hunt for everyone who happened to miss their earlier age group hunt.